It finally happened. 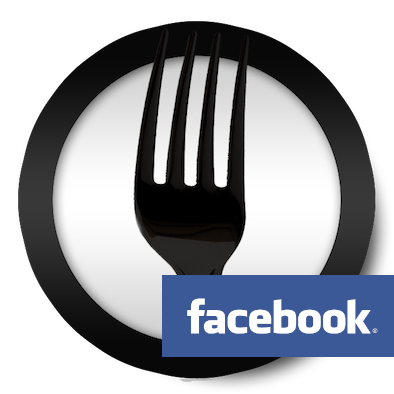 After more than a year in development the Farm-To-Fork.ca website officially launched on Thursday, October 3. To celebrate, we gathered at Innovation Guelph with community members to enjoy a night of great food and drink (provided by several amazing local vendors). Hosted by co-founders Dr. Daniel Gillis and Danny Williamson, the night began with a welcome by MPP Liz Sandals. Liz, whose history is linked with the University of Guelph‘s School of Computer Science, spoke about the importance of geek power for social justice. This was followed by a keynote presentation by Dr. Ralph Martin, the University of Guelph’s Loblaw Chair in Sustainable Food Production. The night also included presentations by Linda Hawkins of the Institute for Community Engaged Scholarship, Marg Hedley of the Guelph Wellbeing Initiative, Randalin Ellery of the Seed Community Food Hub, Kate Vsetula of the Guelph-Wellington Food Round Table, Stacey Dunnigan of TasteReal, and Tina Brophey of Community Voices. Of course, the Farm To Fork project and the launch event couldn’t have happened without the amazing work of a lot of people, the contributions of many local businesses and community members, the students, and the experts in our community who spent countless hours making Farm-To-Fork.ca what it is today. Thank you to everyone who came out to the event. Thank you to those who have already signed up as donors. And thank you to all of the people involved in making tonight possible. To the volunteers: you are amazing. Thank you for stepping up, setting up, picking up, and cleaning up. Thank you for taking the time out of your busy schedules to make the launch event the success it was. Without you, the launch could not have happened. To the speakers: your thoughts, reflections, and expertise made the night more than just a launch event; it was an experience. You helped put a face on the problem of food insecurity. You identified how all of us are capable of helping. And you demonstrated that Guelph is on the leading edge of thinking differently. To the local businesses: thank you for all of your support, be that in the form of food, money, or space to work. You truly define the Guelph spirit. Thank you to 39 Carden Street, The Albion Hotel, Alliance Roofing, Atmosphere Café, The Babelfish Bistro, Baker Street Station, Belatech Innovations, The BookShelf, Cassoulet Catering, Chudleigh’s, Clear Path Chiropractic, Evolve Nutrition, The Joint Café, Lunarstorm Technologies, Merbridge Networks, Meridian Credit Union, Planet Bean, Portions, Secret Weapon Media, TasteReal, Wellington Cakes, and The Woolwich Arrow. To the University of Guelph: thank you to the School of Computer Science, and to the College of Physical and Engineering Sciences for supporting this project since it started. To our community partners: thank you for your time, your patience, and your expertise. Guelph has an amazing group of people who are fighting the good fight. Farm To Fork wouldn’t be the project it is without your advice, knowledge, and guidance. Thank you to all of our local emergency food providers, thank you to the Guelph-Wellington Food Round Table, the Food Access Working Group, and the Distribution Working Group. Farm To Fork is what it is because you cared enough to be engaged. To the community: thank you for supporting this project from day one. It really didn’t surprise us that the community embraced the Farm To Fork project. Guelph has always been an engaged and socially conscious community. This is what sets our community apart. This is what makes Guelph amazing. To our students: where to begin? You are absolutely amazing. Thank you for the time and energy you eagerly threw into this project. Thank you for being leaders. Thank you for thinking differently and working towards something for more than just grades. We are infinitely proud of what you have done. Your work will make a huge difference in our community, and around the world. If you haven’t done so already, become a member of the Farm To Fork project. Sign up by clicking here. It’s hard to believe but the Farm To Fork website officially launches this Thursday. We’re excited and anxious and happy and excited. Did I mention that we’re excited? As indicated in our previous post we’ve decided to celebrate by hosting a launch party at Innovation Guelph from 7pm until 10pm. The night will include a lot of great food and drink (provided by The Joint Café, Wellington Cakes, 39 Carden Street, Planet Bean, and Wellington Brewery, to name a few), friendly faces, and a few short presentations by some very important guests. For those curious, the agenda for the eve includes presentations by Ralph Martin (the University of Guelph Loblaw Chair in Sustainable Food Production), Brendan Johnson of the Seed Community Food Hub, Ingrid von Cube and Stacey Dunnigan of TasteReal, Marg Hedley of The Guelph Wellbeing Initiative, Tina Brophey of Community Voices, Kate Vsetula of the Guelph Wellington Food Round Table, and a few others. And of course, you’ll be able to meet some of the students who have spent so much time working on the Farm To Fork project over the past year. They’ll show you the system, answer any of your questions, and help you sign up to the program. You’ll be able to spot them easily because they’ll all be sporting the official Farm To Fork t-shirt. If you would like to attend, please register by clicking here. And don’t forget that we’ll be collecting donations for the local emergency food providers. See you in three sleeps.